Sales taxes are imposed on all sorts of goods and services sold or provided in New Jersey. Generally the tax rate for most of those goods and services is seven percent (which was increased from six percent in 2006). 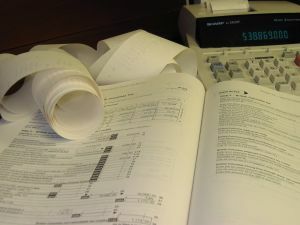 Most goods and services are taxed, including, for example, tangible personal property; digital products’ the production, installation, or maintenance of tangible personal property or digital products; storage of personal property; mail processing services; utility services; tanning services; tattooing; investigation and security services; information services; non-prescription massaging services; limousines and other transportation services; telephone answering services; radio subscription services; prepared foods (such as in restaurants); food provided through a vending machine; landscaping; entertainment (movie tickets, amusement parks, sports events, plays, etc. ); gym memberships; and parking garages. Digital property is defined as music, ringtones, movies, and books that are delivered or accessed electronically. These products may be received on different electronic devices from cell phones and computers to iPads and Kindles. Digital property does not include video programming services such as on demand television or other broadcasting services. Some major exceptions to the sales tax include: newspapers; periodicals sold by subscription; clothing; unprepared food and food ingredients for human consumption; prescription (and some limited non-prescription) medications and certain medical items; textbooks; real estate sales (though they are subject to other types of taxation); school cafeteria food; and casual sales (such as those that are person to person that do not involve retail or dealer companies; however motor vehicles and registered boats are taxable even when sold person to person). The exemption of food and food ingredients does not include things such as tobacco, alcohol, candy, or soda. Dietary supplements may also be exempt, but must specifically be identified – as required by the federal government – as a dietary supplement in the “Supplemental Facts” section of the label. Things such as energy bars often come under the category of a candy or prepared food and therefore are not exempt from sales tax. Also, while laundering, dry cleaning, and tailoring are exempt services when provided for clothing, those same services are taxed when performed on carpets, blankets, comforters, linens, and other cloths. The exemption for medical items and prescriptions includes all prescriptions and non-prescription drugs which are specifically identified as drugs – as permitted by the Federal Food and Drug Administration (“FDA”). Grooming and hygiene products such as soap, toothpaste, shampoo, and sunscreen are not exempt. Over-the-counter items such as crutches, aspirin, allergy relief products, antihistamines, blood pressure cuffs, ankle or knee braces are all typically exempt from the tax. A list of common taxed and exempt retail products has been organized by the New Jersey Division of Taxation. Sales taxes are primarily state-based. Thus each state has the right to impose sales taxes as provided by its legislature. However, the significant increase of internet and other “remote” sellers who sell products on a nation-wide basis, caused concern that it was becoming too complicated to comply with all the states’ different tax rule. Therefore, in 1999 the National Conference of State Legislatures and the National Governor’s Association created the Streamlined Sales and Use Tax Agreement (SSUTA). New Jersey is one of twenty four states which have passed legislation conforming to the SSUTA. Many other states are in the process of attempting to also confirm their laws to the SSUTA. SSUTA basically provides for uniform definitions, administration, and legislation which were created to simplify the process of tax compliance for sellers. Also, this supports and enforces the taxation of internet and other remote sellers who otherwise would not pay required taxes and thus obtain an advantage over brick-and-mortar stores. McLaughlin & Nardi, LLC’s tax attorneys are experienced with both Federal and New Jersey state tax laws, particularly with regard to sales tax requirements for businesses and consumers. To learn more about what we may be able to do to help, please visit our website, or contact one of our New Jersey lawyers by e-mail or telephone at (973) 890-0004. Tagged: "New Jersey Tax Law", "Sales and Use Tax" and "Tax Exemptions"